Verizon is still yet to begin shipping HTC 8X orders, and according to emails received by a handful of our readers who have kindly forwarded copies to us, there's a slight delay. The carrier is stocking both the HTC 8X and Lumia 822 Windows Phone 8 handsets in its smartphone line-up (with the Samsung Odyssey coming in the future). Because the HTC 8X is slightly behind schedule Verizon is offering 30% off any case in its store as a token of appreciation while consumers wait patiently for their Windows Phones to arrive. Both devices are officially being made available tomorrow in stores across the US. The snippet below is what the full email reads, note that Verizon refers the HTC 8X as its codename - the HTC Accord. "Important information about your HTC Accord order. Congratulations and thank you for your HTC Accord order. We know you are anxiously awaiting the arrival of your new device. We regret to inform you that your HTC Accord was not shipped as scheduled on November 13, 2012. You will receive a shipping confirmation email that will include your final shipping date. We are working hard to get your HTC Accord to you and apologize for any inconvenience. As a token of appreciation for your understanding please enjoy 30% off the case of your choice. Offer is valid through December 14, 2012." Yesterday we covered Verizon processing Lumia 822 pre-orders with consumers receiving confirmation emails that orders have been dispatched and are well on their way. For those who are yet to receive their HTC 8X from Verizon and have been notified of a 30% reduction in price on any case of your choosing, note that the offer stands through December 14th of this year. Have you received the same email? It's a shame the offer doesn't cover wireless charging accessories, or the JBL Powerup Wireless Charging Speaker. 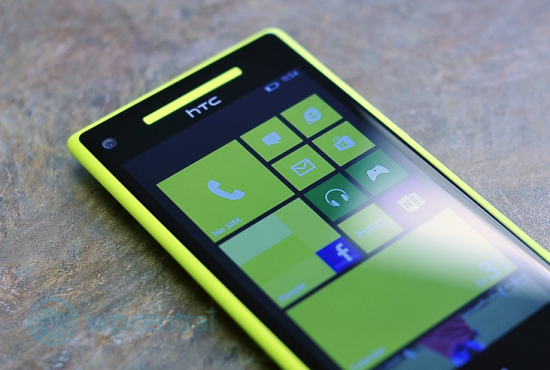 Here's hoping the HTC 8X is shipped soon. Thanks, Kamran and TheLeopard, for the tips!